In 1862, Louis Ernest Ladurée, a miller founded a bakery. After a fire, the bakery was transformed into a pastry shop in 1871, with popular painter Jules Cherét in-charge of the interiors. With a combination of Parisian-style cafés and French patisserie goodness, the company opened a tea room for women and became one of the pioneers in the area. Ladurée brand further rose to fame when Pierre Desfontaines (grandson of Louis Ernest Ladurée) thought of taking two macaron shells and joining them with ganache filling. The recipe for the ‘double-decker’ has not changed since then. Ladurée has been recognized as a French luxury sweets maker and the brand has also branched out to chocolates (Marquis Ladurée) and candles and home fragrances (Beauté Ladurée). Fun Fact: The sweet treats Kirsten Dunst was eating in the film Marie Antoinette were from Ladurée, as chosen by director Sofia Coppola. What we loved: The elegant interiors showed true Parisian flair. Together with the dainty packaging and fine china, it was a very luxurious experience. Of course, the delectable sweets are amazing. The Strawberry cake in the picture below has to be one of the most precious edibles we have ever seen. We loved too the secrecy. With much fuss about no photography it has to be one of the most photographed food shops in the world. 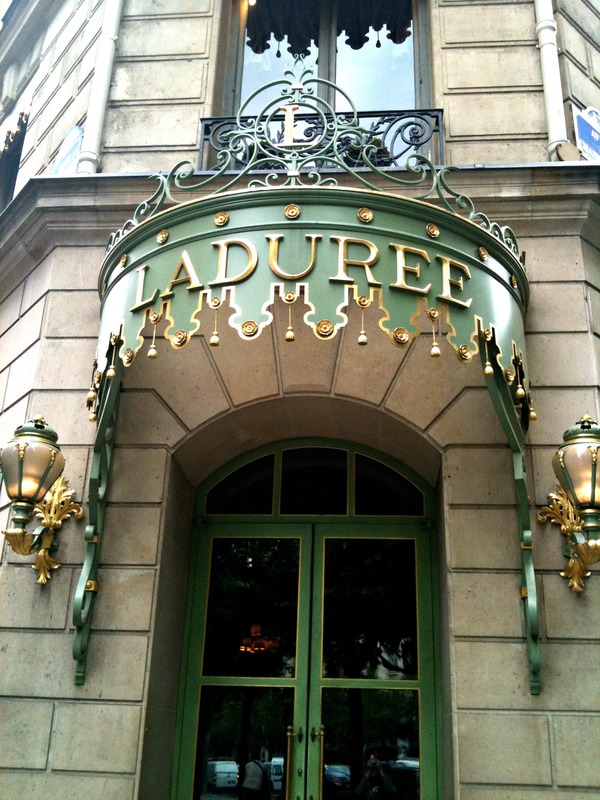 Locations: Ladurée Houses can be found in several countries across the globe and is increasing as I type this note. For a complete list of locations click here. Laduree – most exciting cake. Marie Leszczynska became the wife of Louis XV in 1725 and she took with her, pastry chef Nicolas Stohrer. 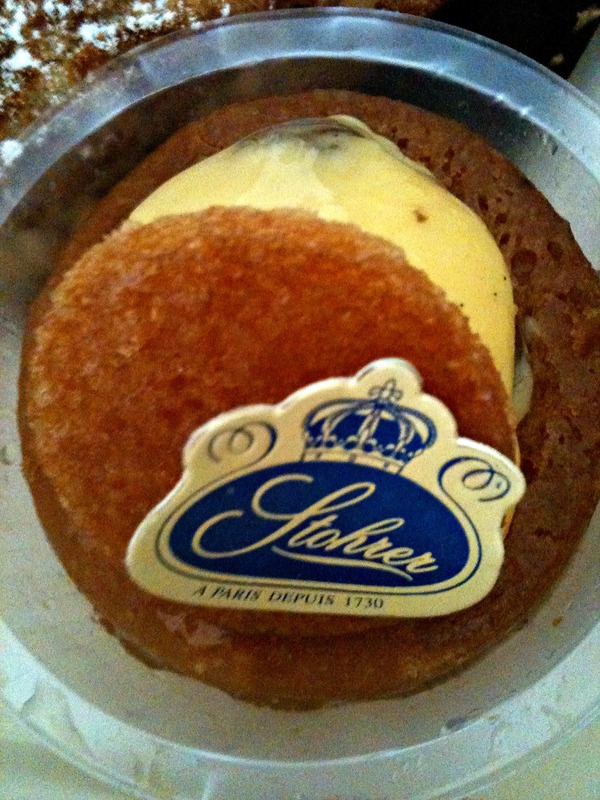 After 5 years of serving royalty in Versailles, Stohrer opened a pastry shop on Rue Montorgueil in Paris. The frescoes, created by Paul Baudry (artist of the Paris Opera) in 1860 can still be found in the shop to this day. 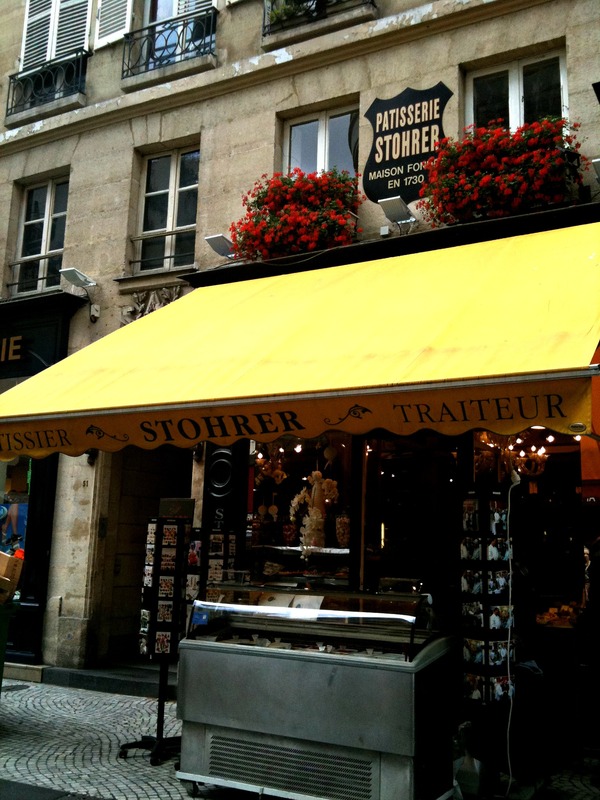 Stohrer is considered to be the oldest patisserie in Paris and the bakers have been following classic Nicolas Stohrer recipes from his diary for almost 3 centuries. Fun Fact: During her 2004 state visit to France, Queen Elizabeth II stopped at Stohrer for Puits d’amour. What we loved: Walking into Stohrer is like being are taken back in time. Aside from the prestine frescoes, we became big fans of the Babà au rhum (a light cake soaked in rum syrup) and Puits d’amour (small round cakes filled with caramelized cream and decorated with sugar). Truly Paris’ classics! Brief background: Gérard Mulot is a family business that started in 1975. 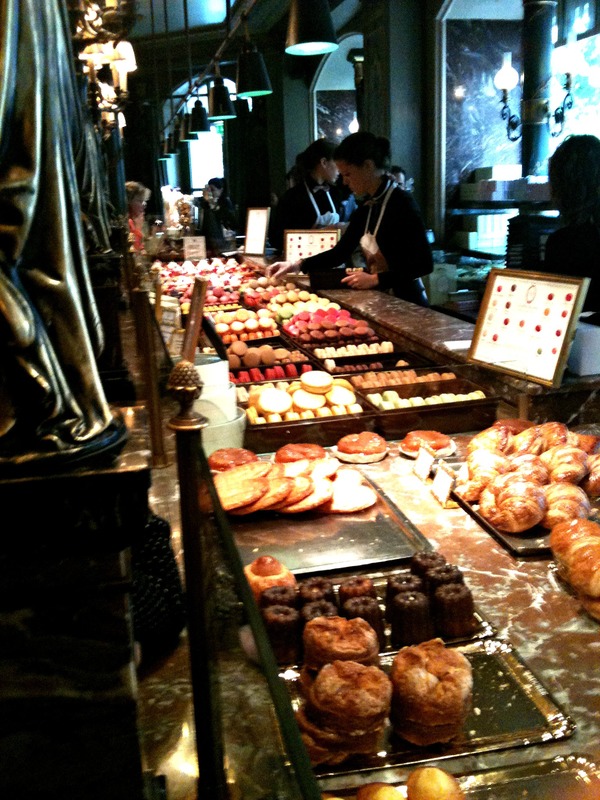 At first, they only offered pastries but in the 1980’s, chocolates became a part of the shop. These days, Gérard Mulot is dedicated to bringing creative artisan treats, tea and lunch menus in their several branches. What we loved: Gérard Mulot offers the best of sweet and savory. More than sweet desserts and pastries, the delicious dishes are also to die for. This patisserie’s offerings aren’t just gastronomic delights, they also offer a feast for the senses. 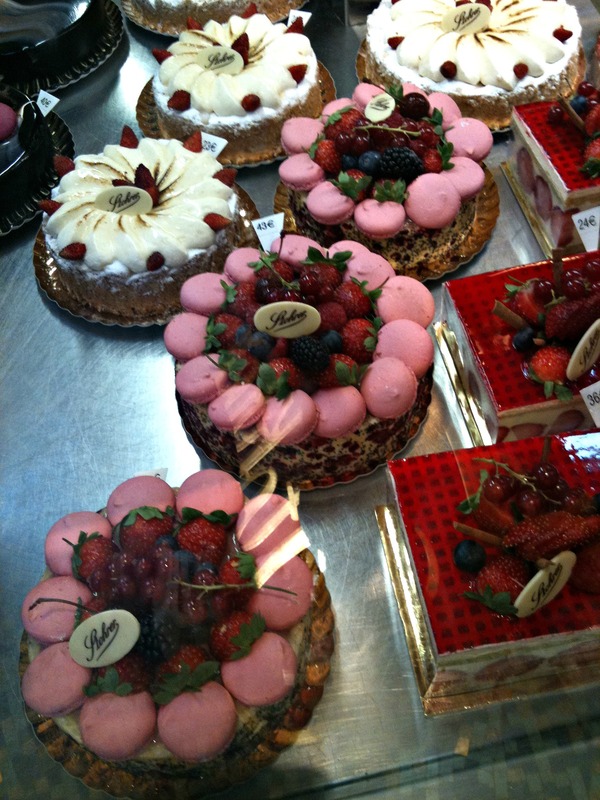 Do you have a favorite patisserie in Paris? We’d love to know your thoughts! Thanks Margaret – appreciate your kind comment.